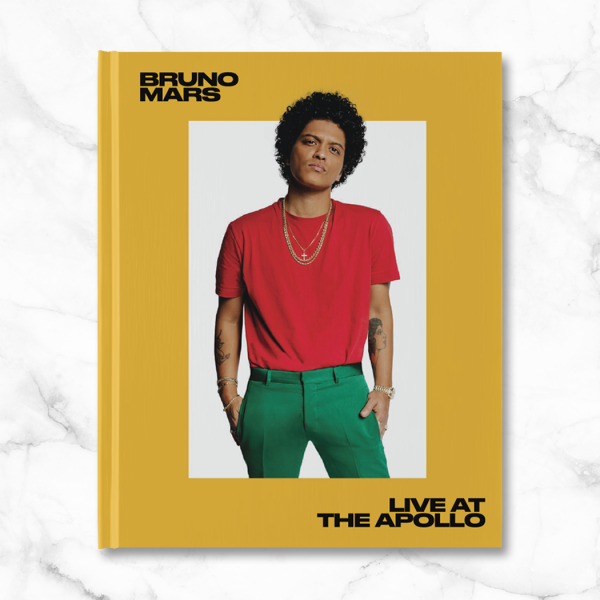 The Bruno Mars ‘Live at the Apollo’ Hardcover Book gives you an inside look into the Bruno Mars: 24K Magic Live At The Apollo TV special that aired on Wednesday, Nov. 29. The book centers on the GRAMMY® Award winning artist and his band, the Hooligans, as they take on New York City and perform on the legendary stage at the Apollo Theater. With exceptional photography by “Florent Dechard,” 144 page book brings to life the special performance and sheds insight into the behind the scenes making of the show. Featuring never-before-seen photos, Bruno and the Hooligans are photographed live in concert and in the streets of NYC.